Diety Devil has popped up with another Tekken Tag Tournament 2 combo video. Watch the latest one inside. 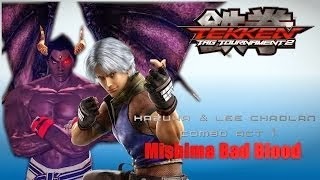 You can add another Tekken Tag Tournament 2 combo video to Diety Devil's library. This one showcases the team of Kazuya and Lee Chaolan.